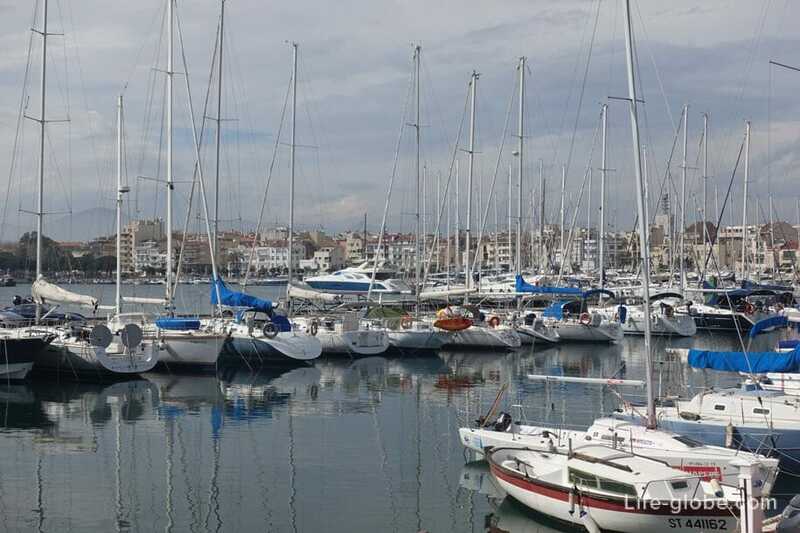 Port quarter of Cambrils is probably the most visited and one of the brightest parts authentic and beautiful resort of Costa Dorada - Cambrils. 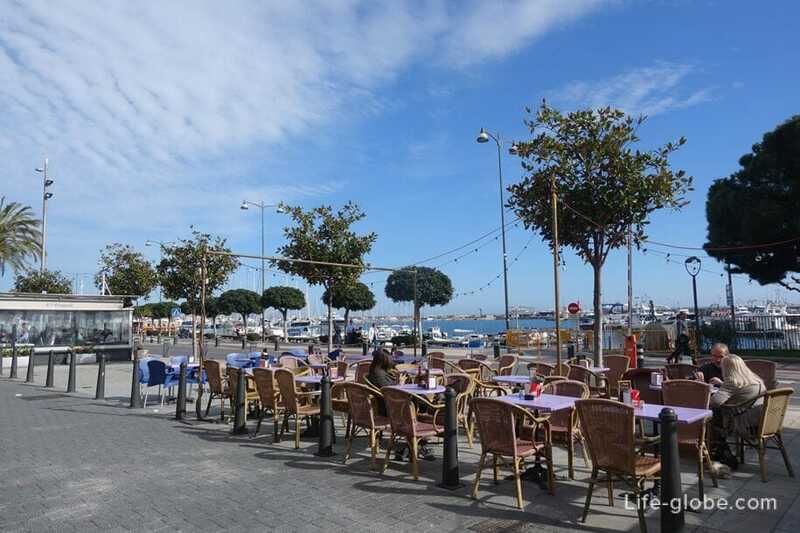 Often you can hear these conversations: "What's better: the old town of Cambrils or the Port quarter,...?". 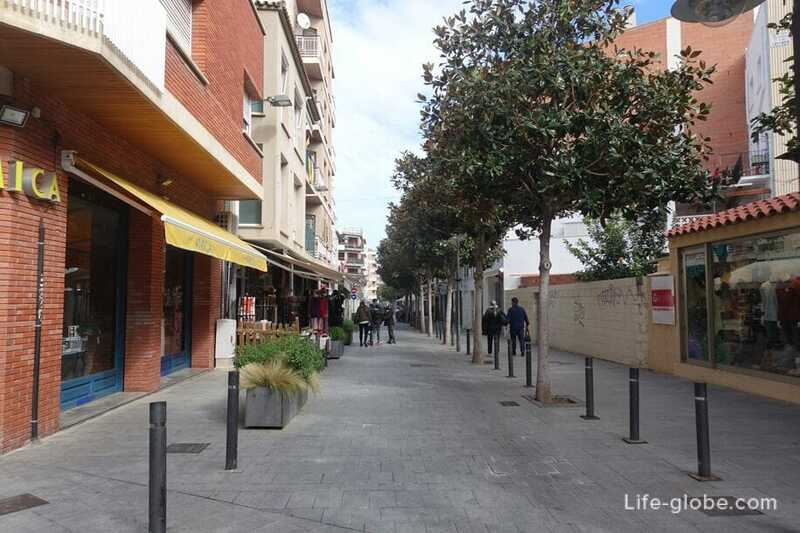 We would not pick the best place and here and there has its charm, interesting sights, striking architecture, as well as places for walking and recreation. 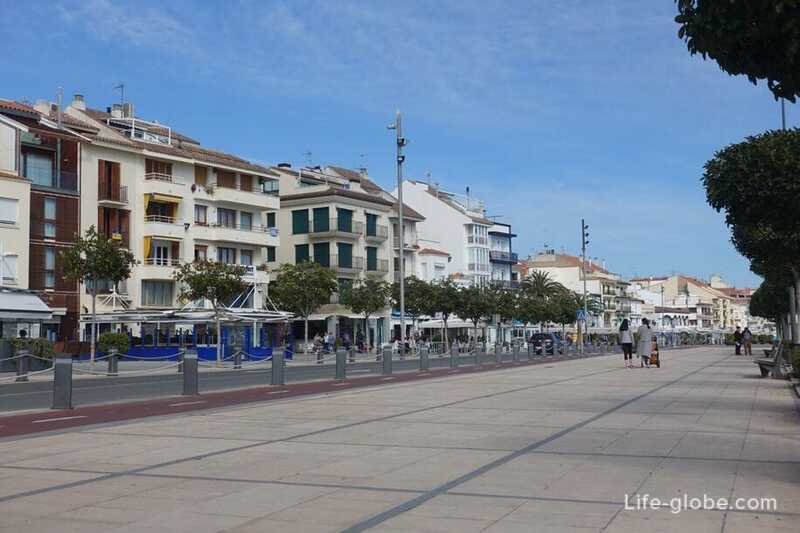 Both the quarter of Cambrils Old town and Port area, together form the historical part of the city. 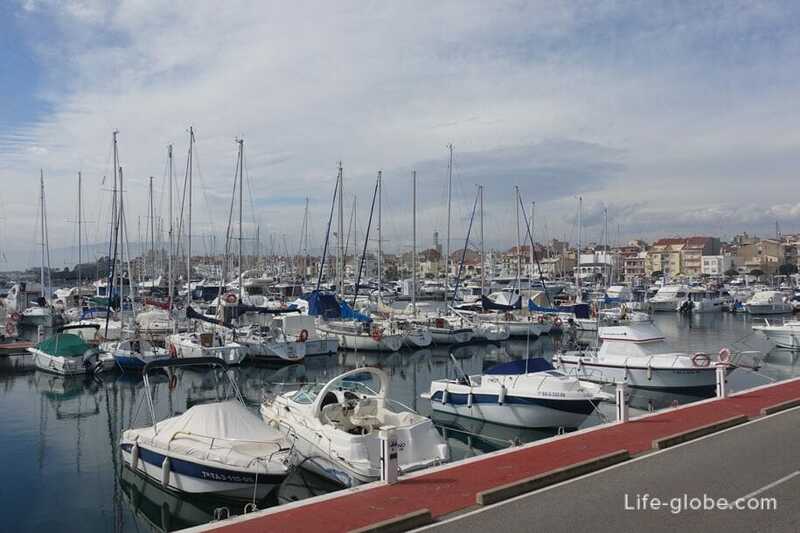 Port quarter, or Port area of Cambrils is a small territory, including the port, consisting of fishing and sports ports, as well as a small yacht Marina, harbour promenade and the adjacent part of the city with narrow streets, on both sides where you can see a nice little building. 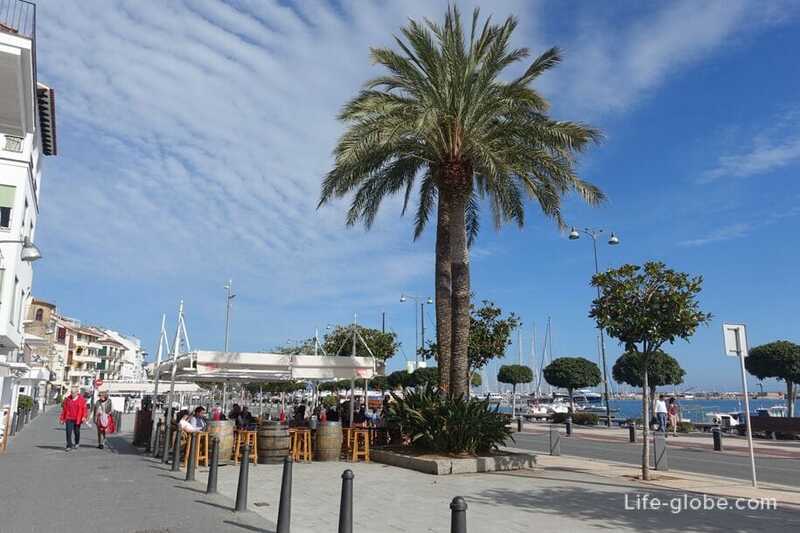 The port area is located in the centre of Cambrils, on the sea front, in the area between the two Central beaches of La Riera and Prat d'en Fores. 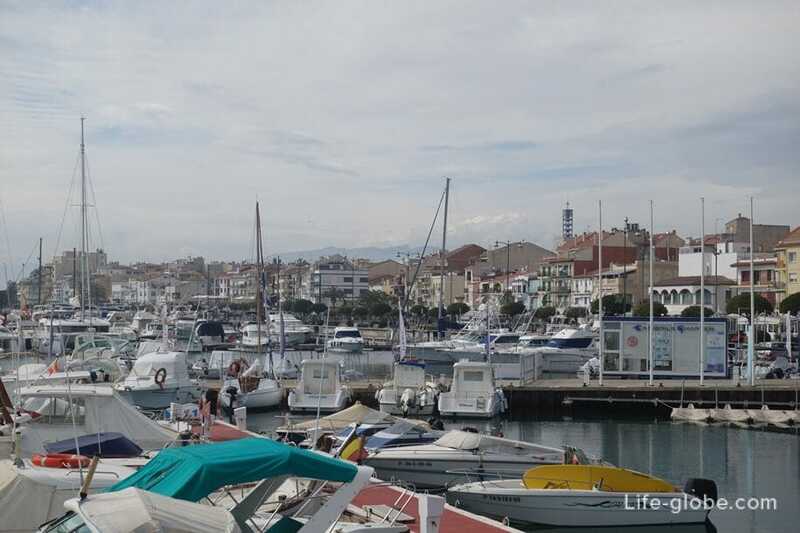 Cambrils port (Port de Cambrils) is very small. 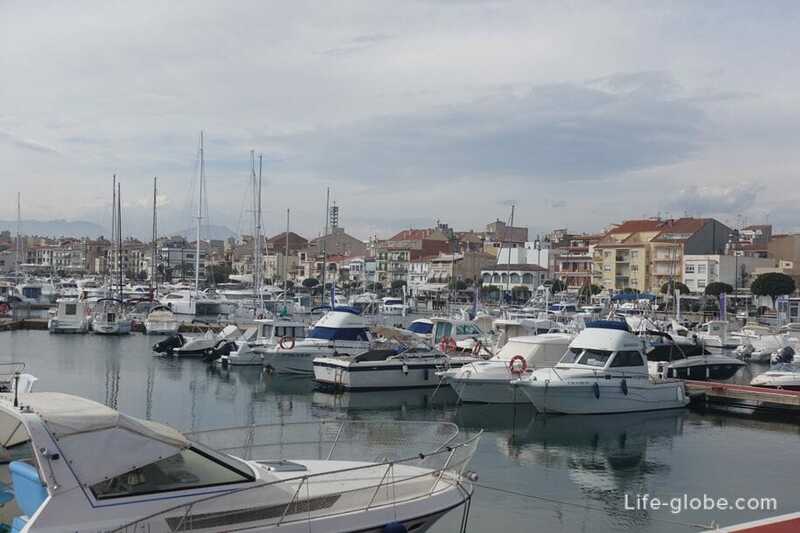 It consists of two parts, fishing and sports ports, forming a single port. 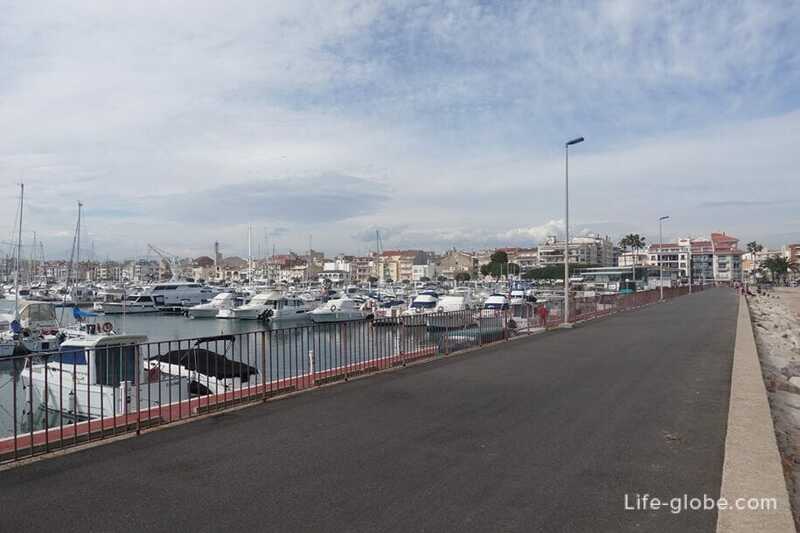 The sports part of the port and yacht Marina are located on the beach Prat d'en Fores and has a very picturesque appearance. 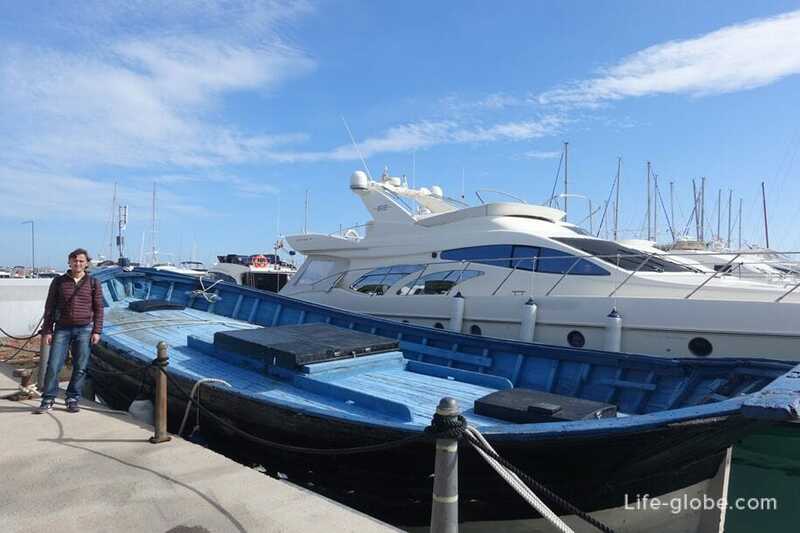 Here, little white yachts and boats peacefully swaying in the sea waters of the Marina, for which, from the coast, one can see a low building. 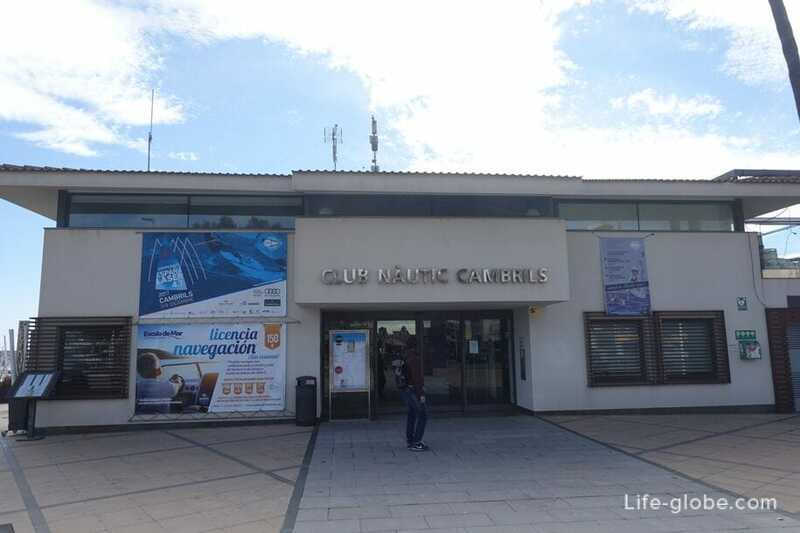 At the beginning of the pier is the yacht club (Club Nautic Cambrils) where you can rent a boat or yacht, and engage in various marine sports. 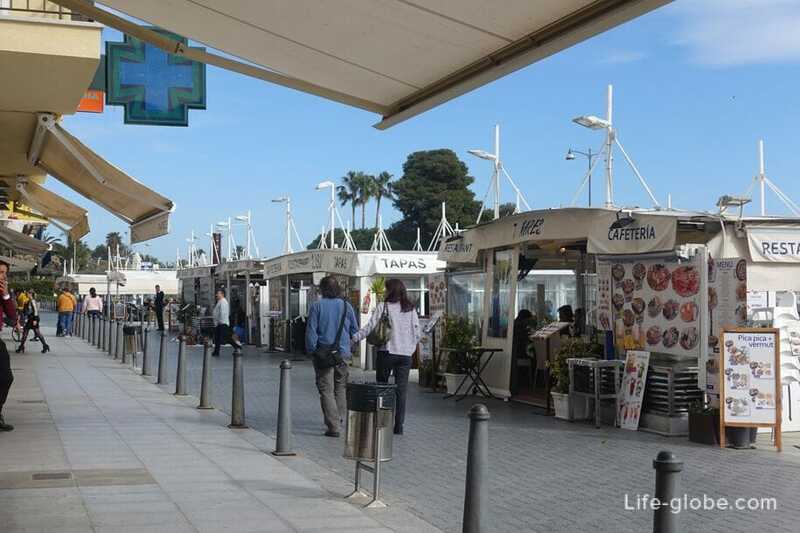 There is also a restaurant, say, very decent. 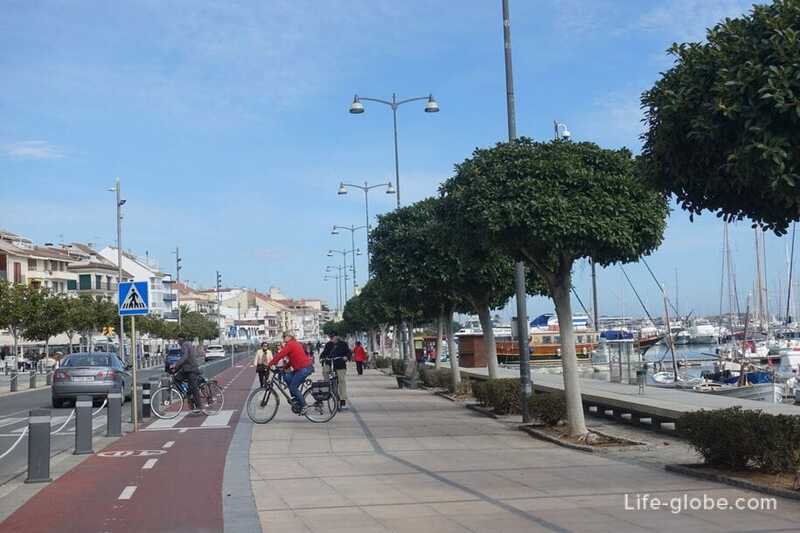 Along the port side of the coast, a walking zone - the port promenade, a great place to enjoy views of the harbour. 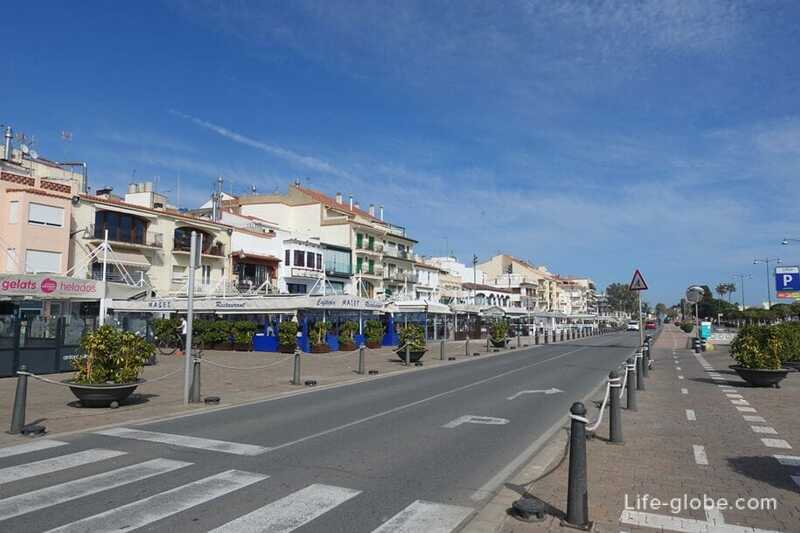 The tourist area is a Desk, where you can take boat trips, e.g. 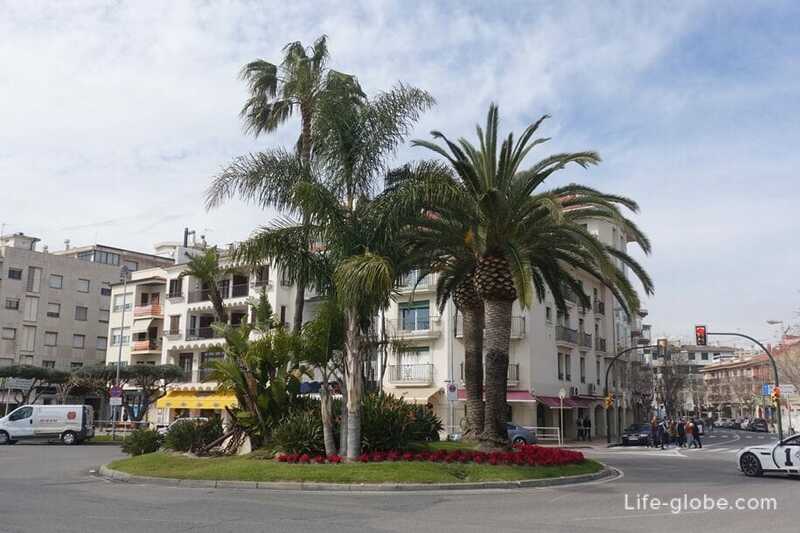 to visit Salou and other resorts along the coast of Catalonia. 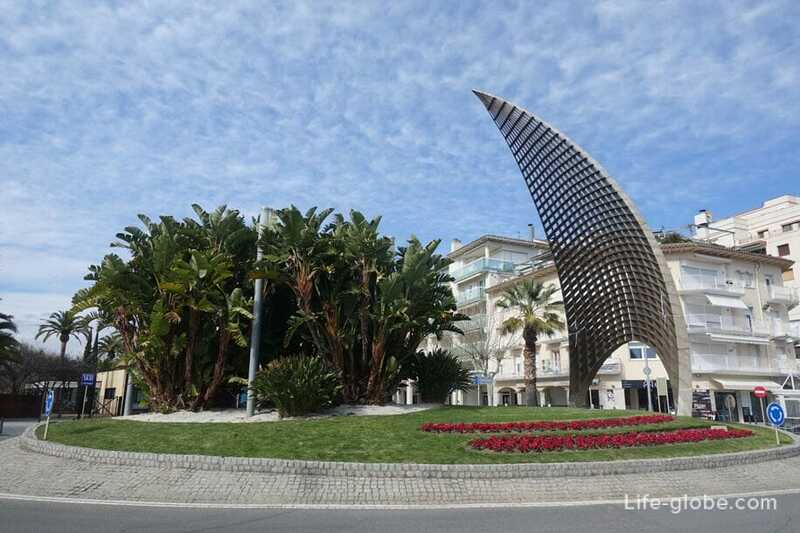 Near tourist area, you can see interesting sculpture, installed in the memory of the years of the Tribulation (1911) that killed many, including local seafarers. 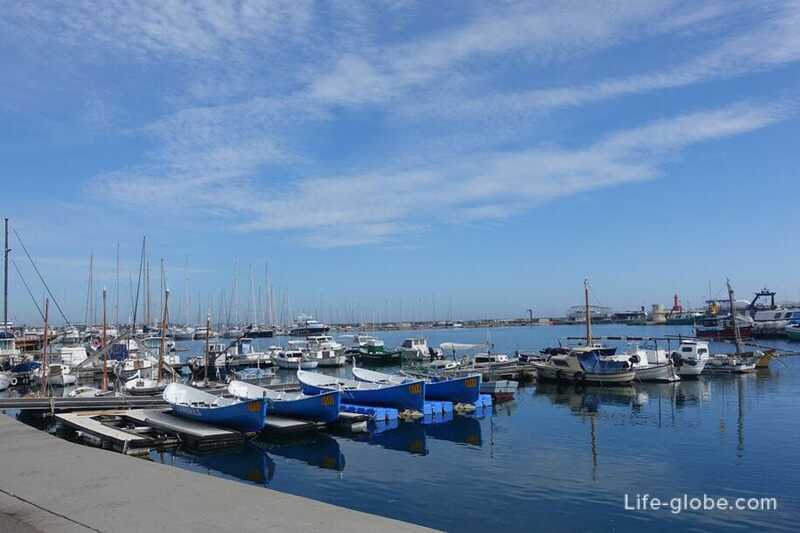 Next is part fishing port, here fishing boats and in the air continuously smell fresh, and not much fish. 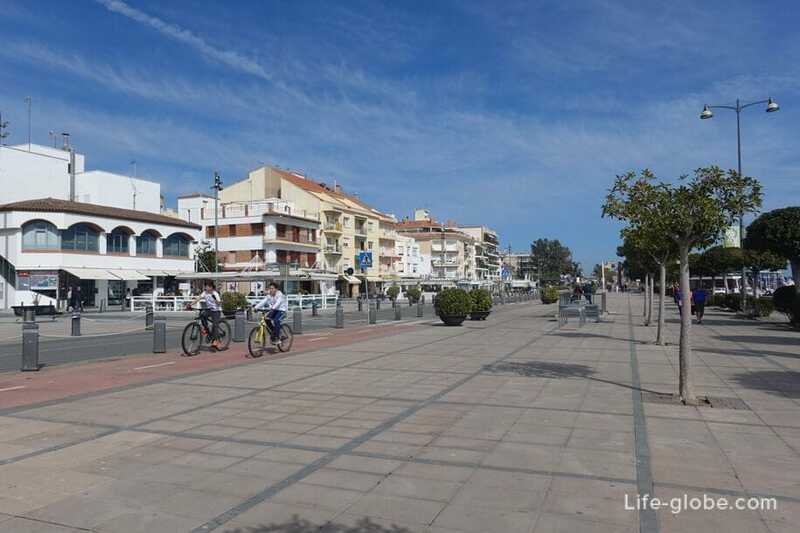 In this part of the promenade is a monument to the Young fisherman (el pescador nen). 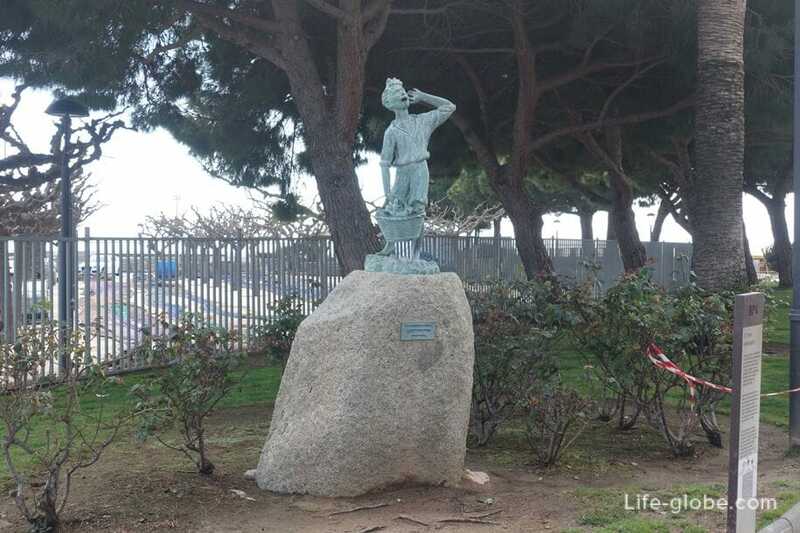 The monument to the boy-fisherman is set in stone and is a statue of a young boy with a basket of fresh fish in the hands. The young man shouts, thereby announcing their catch and calling customers, and in his hair playing the South wind. 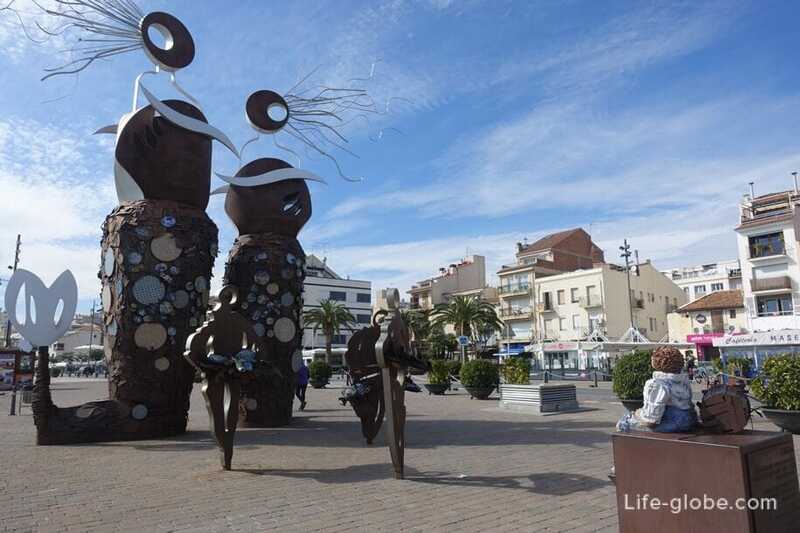 Although small, but charming sculpture is perhaps one of the best in Cambrils. 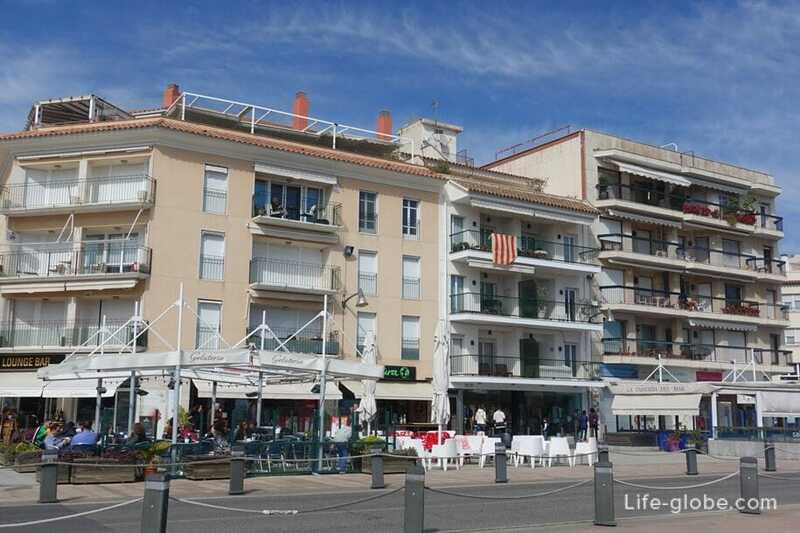 On this quay of the port ends and we are located near the beach of La Riera. 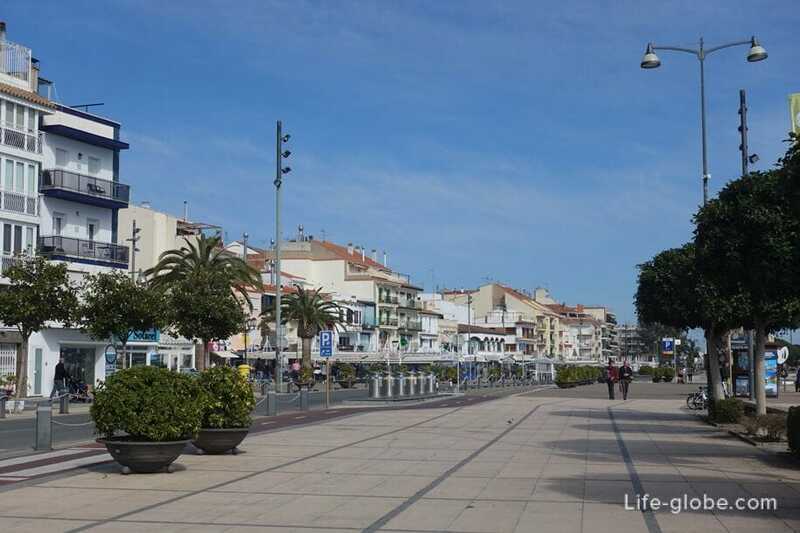 This side port also has a pleasure pier, with a length of approximately 400 meters, which are: places to stay, and on the very edge of the Mall (on his nose) - Red lighthouse (Faro Rojo, Puerto Cambrils), one of the attractions of Cambrils. 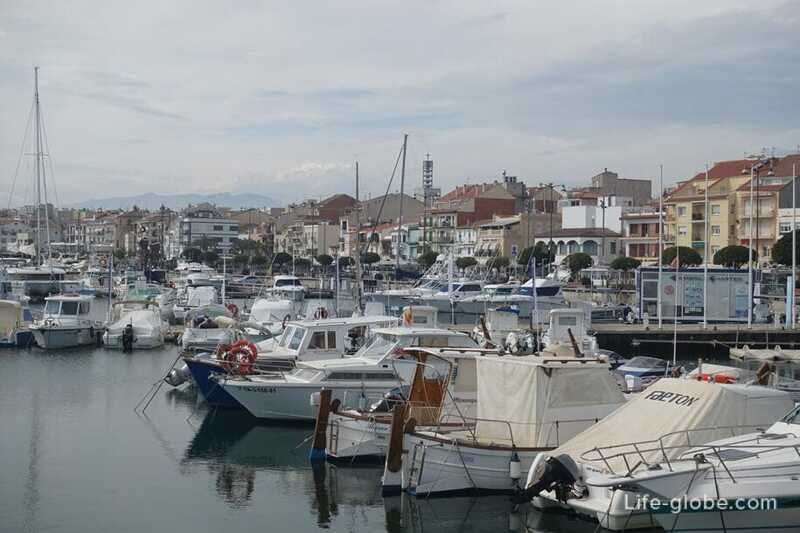 Red lighthouse - one of the elements of the port of Cambrils. It serves as a reference point to guide ships at night. 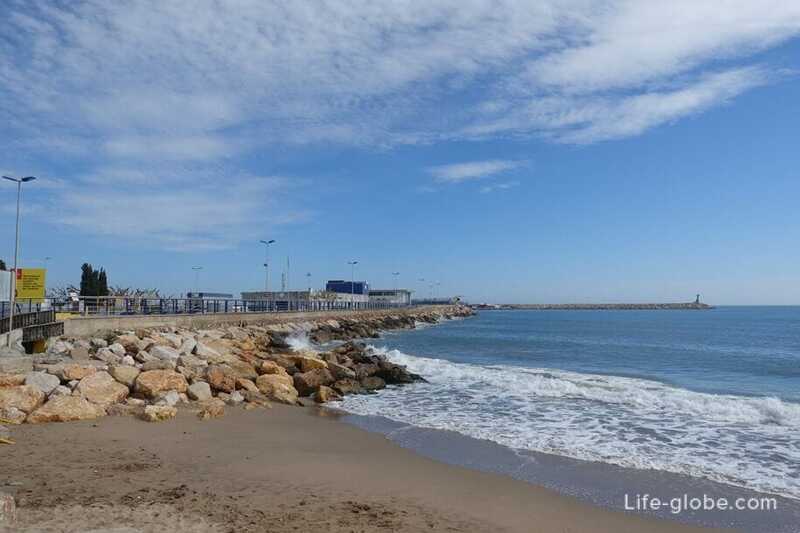 It is believed that from this point, the area near the lighthouse, you can appreciate spectacular sunsets and also to see firsthand the daily lives and work of fishermen. 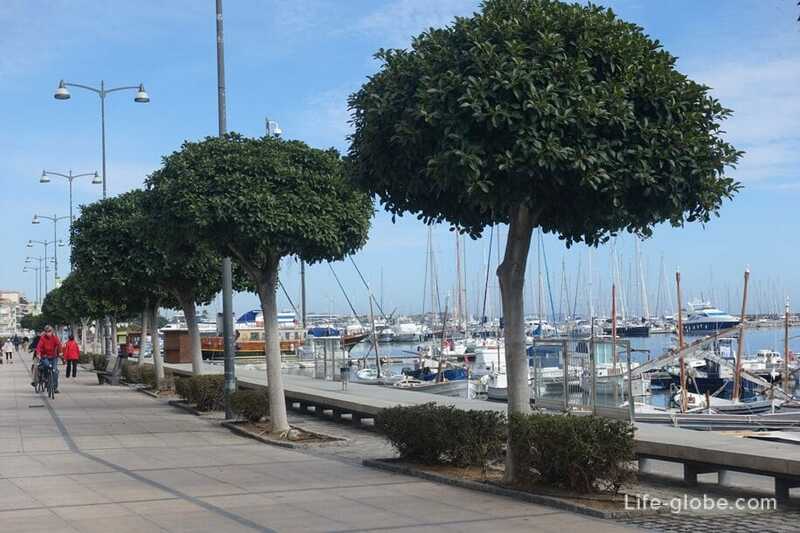 Opposite the harbour promenade, through a narrow carriageway, is the most beautiful part of the Port area of Cambrils. 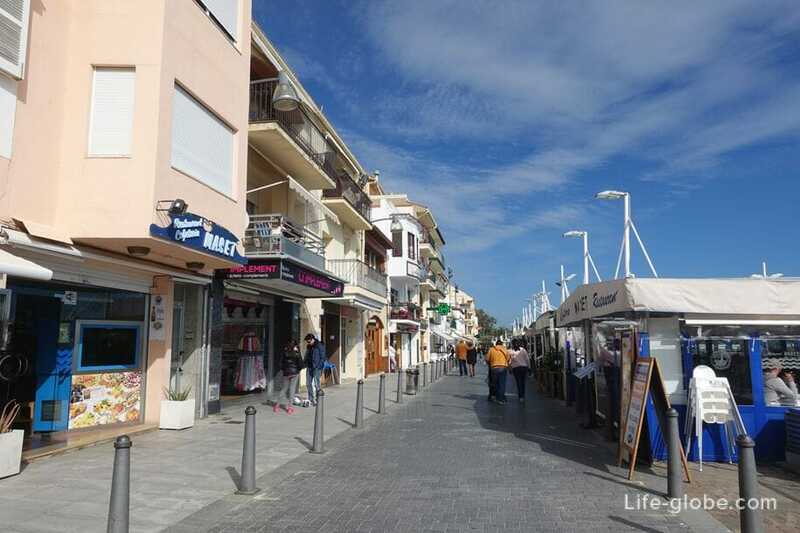 This part is visually a continuation of the port and the promenade, which, combined, creates an amazing mental picture of authentic atmosphere. 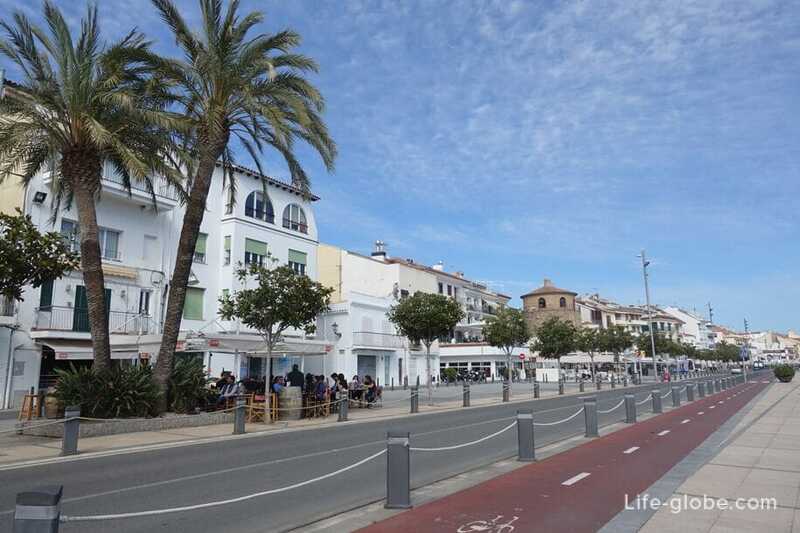 - port Tower (Torre del Port), an ancient watchtower of the 17th century, which was intended to repel attacks on the city from the sea. 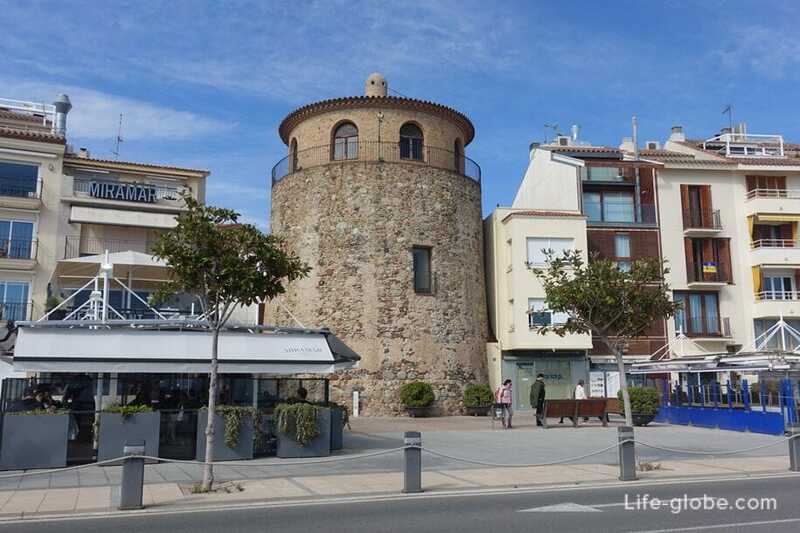 This tower is part of the famous coastline of Cambrils. This tower can be seen in many postcards and Souvenirs of the city. 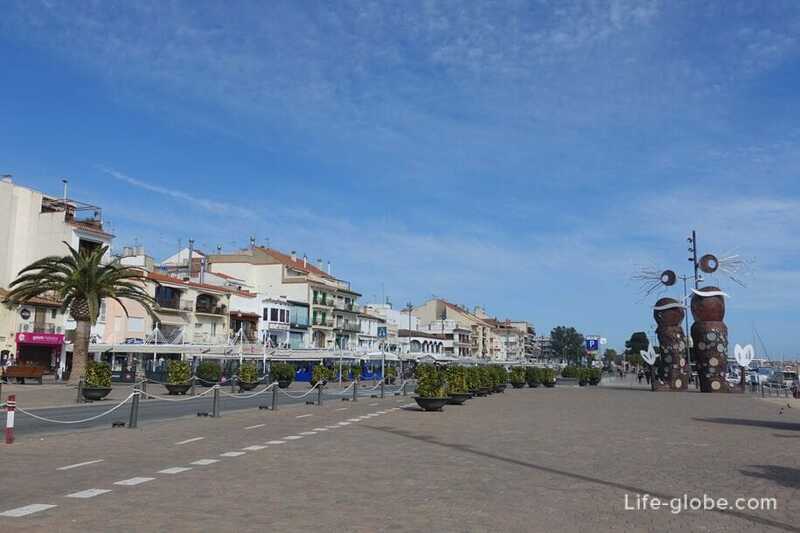 Currently the tower is used as part of the historical Museum of Cambrils, a hall for exhibitions, mostly with a nautical theme and history of the city. 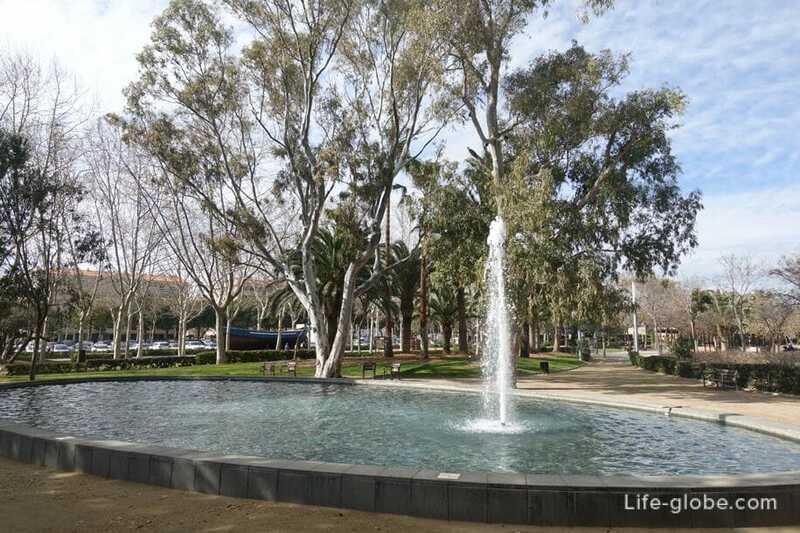 - Monument to Marcel Li Domingo. 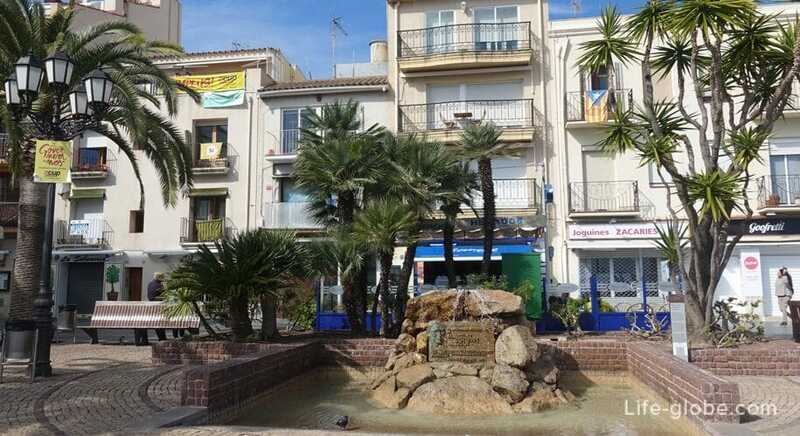 It's not quite the familiar monument in Cambrils he has a very interesting solution - made of stone located in the water tank. The monument erected in honor of the Catalan politician and writer Marcelli Domingo and Sanjuan. 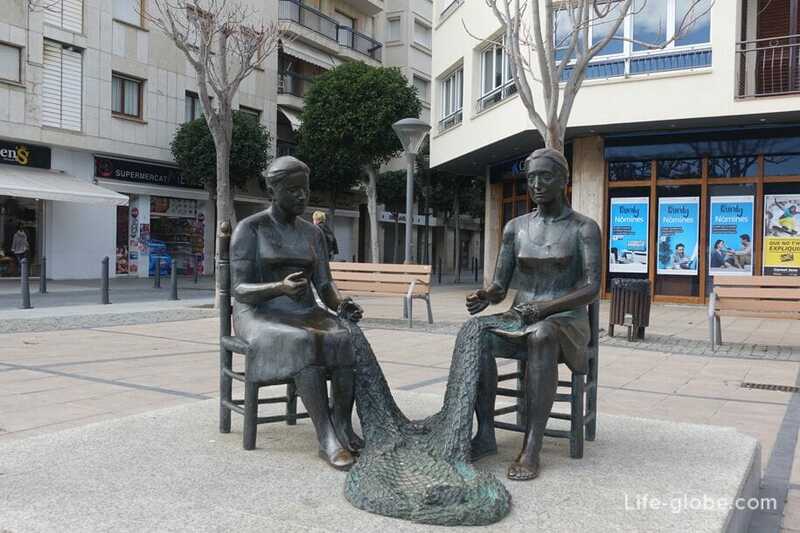 - a sculpture of a fishermen's wives (Dones Remandadores). Brass sculptural composition depicts two women sitting on simple wicker chairs and peacefully weaving a seamless network. 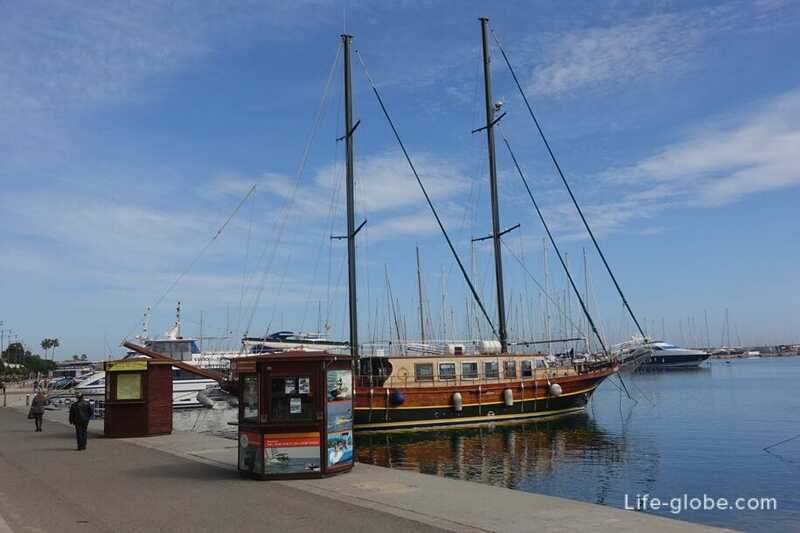 The sculpture in 1998, located in front of the harbour, and has as its goal to show the old and entrenched local traditions. - Tree Lakonos (phitolacca). 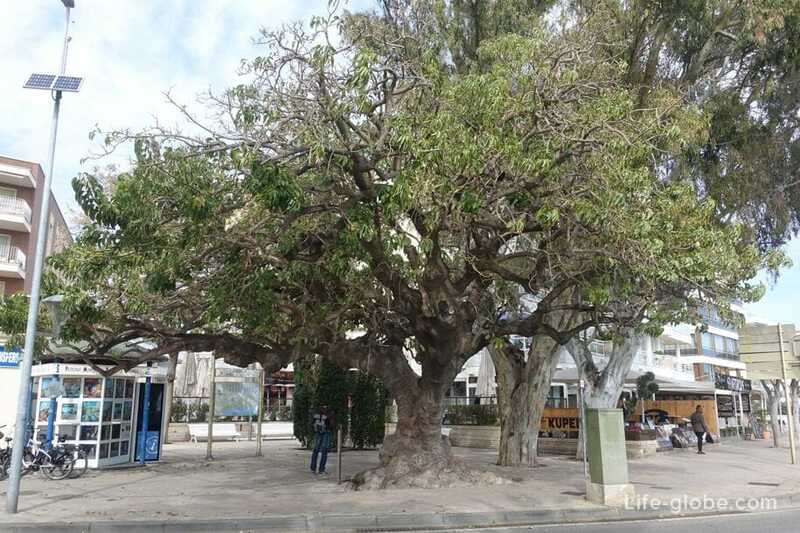 This tree is considered one of the natural attractions of Cambrils, because he has more than a hundred years, it is the largest tree of its kind growing in the municipality. Trees Lakonos are of South American origin and are the symbol of Argentina. 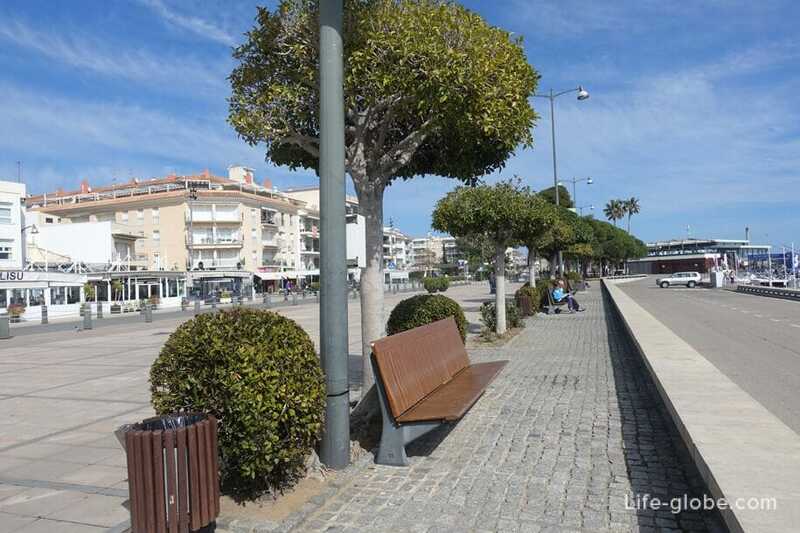 There is a tree near the ring road, where it meets the Eastern part of the port and the beach Prat d'en Fores. 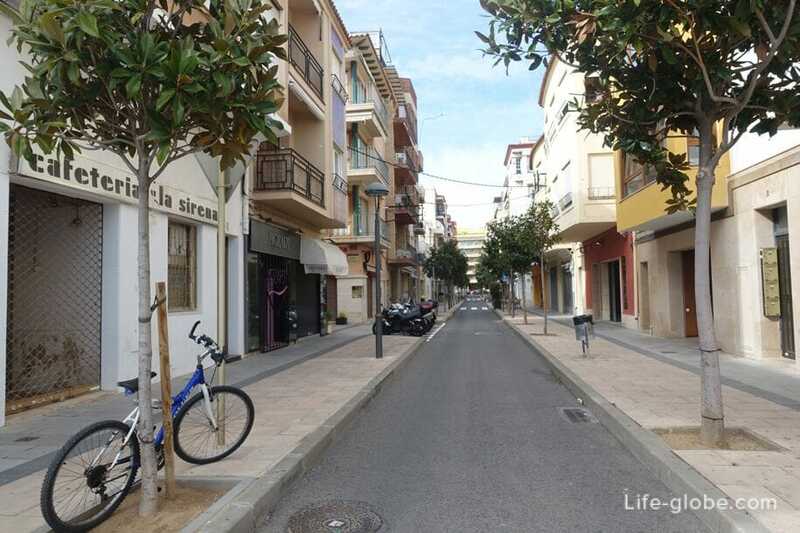 This ring comes city public bus Tarragona-Salou-Cambrils, here, turns around and drives back. 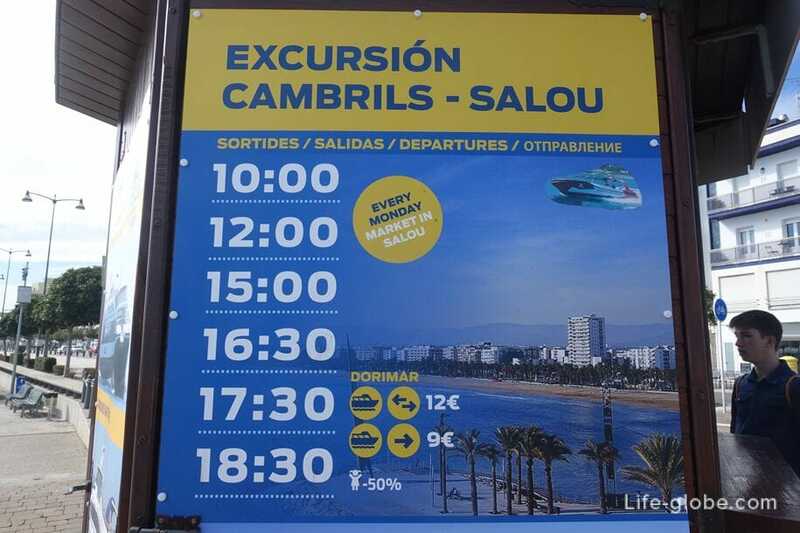 Stop in the direction of Salou near the beach, the fare depending on the distance, Salou-Cambrils € 2.20. 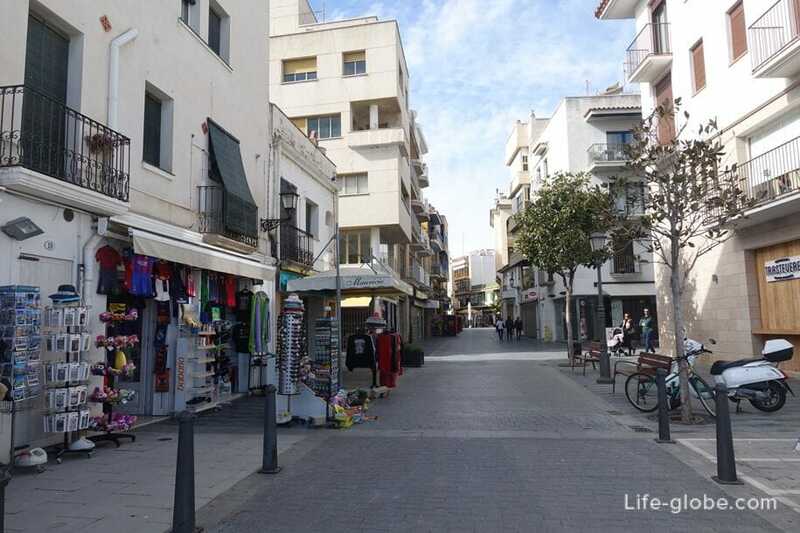 From the street, deeper into the city, lovely narrow weaves depart minor, but no less attractive streets with cafes and restaurants, shops, salons and gift shops. 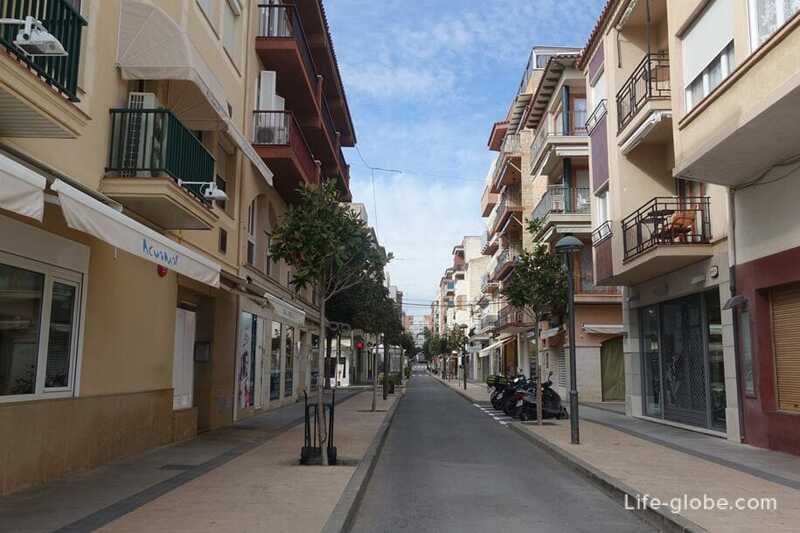 Here, on the streets of the Port quarter of Cambrils, there are hotels and apartments. 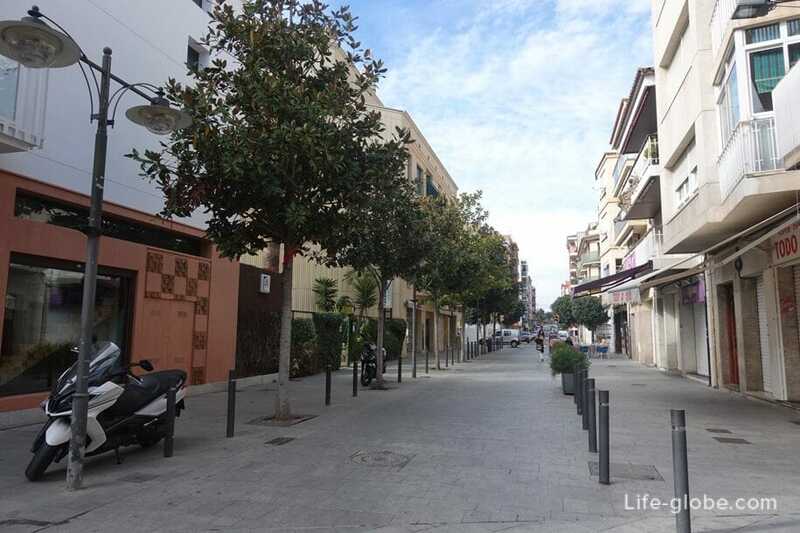 A great place for contemplation from the Windows of your room one of the most lively and memorable neighborhoods of Cambrils. 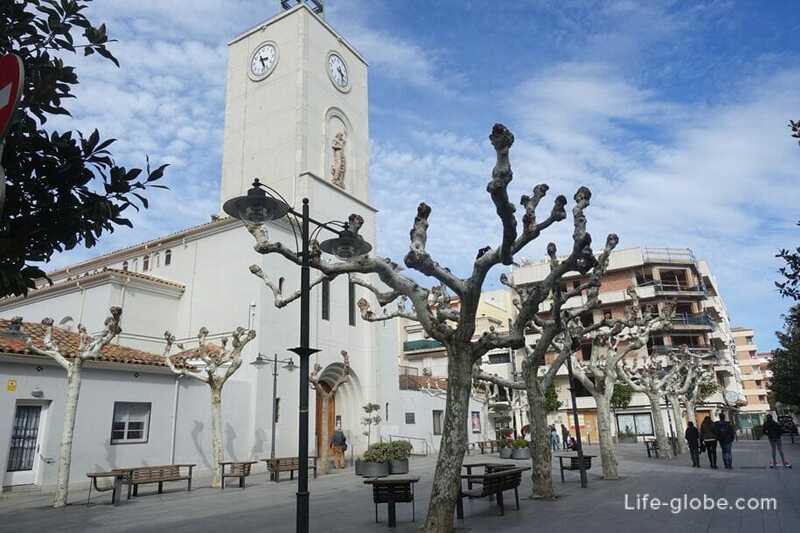 And the highlight, without doubt, the dominant feature of the inner streets of the Port quarter is the Church of Sant Pere (Esglesia de Sant Pere) located on a small eponymous square. 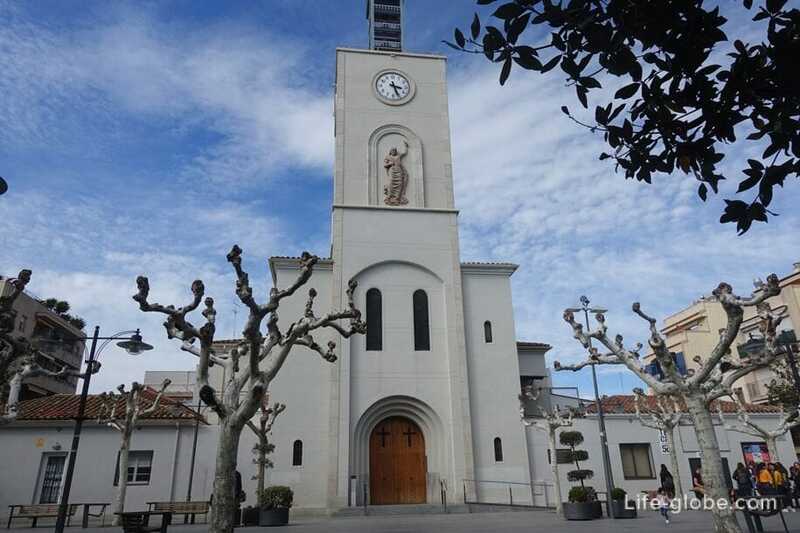 The parish of Sant Pere was built in 1941 and blessed in 1945.